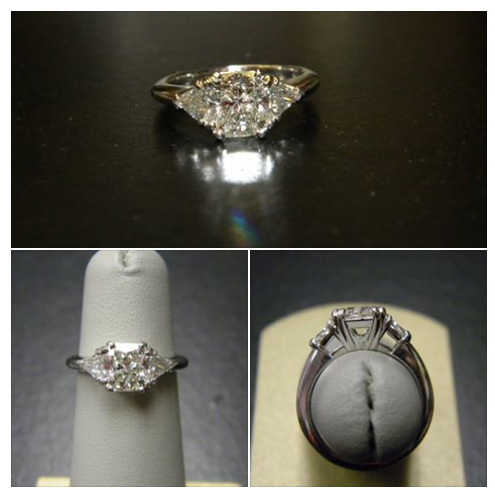 This stunning ring with a center cushion brilliant and side trillions was a creation close to our heart. I have known this groom since he was 3! This handmade platinum setting was designed to be as flush as possible to accept a straight wedding band. We all cried happy tears when he popped the question.